A super rich, nourishing eye cream. 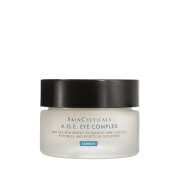 Contains alpha-lipoic acid, coenzyme Q10 and lutein, with eyebright and elder extract, which help to tone and lighten the delicate eye area. Hyper Vitalizer Eye Cream has super antioxidant properties and fights fine line and wrinkles. 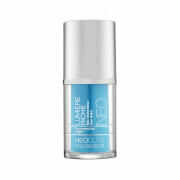 It's a cellular energizer as well as a cell fortifier that provides hydration to the delicate eye area. Use morning and/or night. Use by itself or over Vitamin C Eye Serum. I am on 2nd jar of EmerginC and have been pleased with results. I have not notice any significant changes in lines and wrinkles but have noticed skin is much smoother. 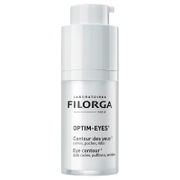 This product works and is effective with the recommended eye serum. It is very rich and nourishing. Worth the money. I've been using this cream for about a month, and my eyes appear firmer, lighter and the tiny crease lines are barely noticeable anymore. I've used other eye creams for a lot longer, and have not had similar results. I really like the texture of the cream - it's not greasy, goes on smoothly and is very mild. I have eye allergies and wear contacts, and my eyes have not reacted well to other products. I have not had any sensitivity problems with this cream. I will buy it again!